In business for more than 100 years, Armstrong Grocery is where locals and visitors in-the-know go for supplies, friendly service, and a nice variety of everything under the sun. With a wide array of items as well as a few more unique food and gourmet products, visitors can load up on everything they need for a great stay in a vacation rental home or apartment in the New Bern and Inner Banks area. Armstrong Grocery was founded in 1907, and since then, it has been serving shoppers all across Craven, Pamlico, Jones and Carteret counties. The grocery store carries a wide selection of groceries, which includes fresh produce and meats, paper products, beverages, beers, wines, and even party or restaurant supplies, and can also order items in bulk for commercial operations or special occasions. 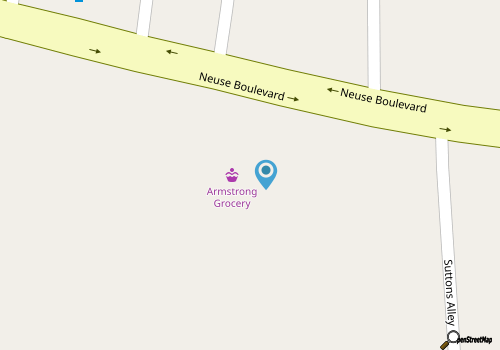 With a friendly atmosphere with staff who are happy to help, and aisles that are stocked with all of the basics as well as a few surprises, Armstrong Grocery is a one-stop-shop for all the food and grocery products that a visitor could need. Located just outside the downtown area, the convenient and time-tested Armstrong Grocery is a local option for great service, great supplies, and a little bit of everything New Bern has to offer. Call 252-638-1822 for current hours.